Maybe Porsche/VW/Audi are waiting for front axle kers to be permitted. The 919 & R18 lines only had front axle, never rear axle, kers. They can build an MGUH. They've been racing one for four years. To the extent that it would have been considered to motor, I wonder if they ever used it to control backpressure to help spool the primary unassisted turbo. WEC/Le Mans rules only allowed 2 methods of recovering energy. For Porsche it was front wheel MGUK and MGUH on secondary turbine on engine. Audi and Toyota used 4 wheel KERS? Audi opted for front-axle KERS and the superior energy density of diesel fuel for the R18 line. Supposedly they tested an MGUH at the beginning of the regulations change, but they did not use it in competition. Toyota were the only LMP1 competitor to use four-wheel KERS. So Audi only used one method of energy recovery? All wheel drive KERS seems sensible to me, as it should be easy to balance front:rear brake bias for the electric machines with the hydraulic brakes bias. Unlike rear wheel only KERS, which requires they hydraulic system bias to shift forward. Correct. 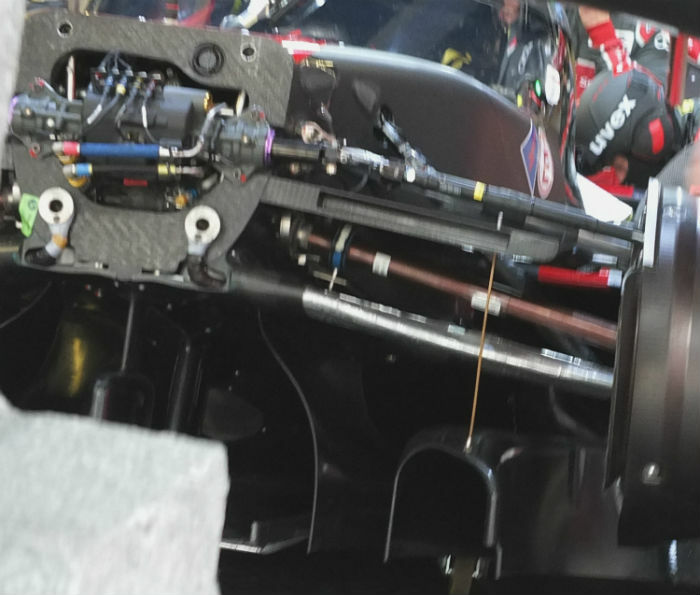 LMP1 have more front weight bias, so there is more braking energy available on the front axle compared to F1. I believe their front and rear tires are the same width, so it made sense for both Porsche and Audi to tax the front wheels with e-drive and relieve the rear tires of any additional drive torque, along with the added benefits of installation simplicity and lightness (one 400hp motor likely lighter than two 200hp motors). for LM to get on the wrong side of the current four engine manufacturers would be suicidal. I am probably in the minority but seems to me that we want close racing and for that we need stable regs. They should stick with what they have got right now. Just keep evolving it. The cars don't sound bad at all. It was actually nice to be able to converse to folks when attending the race in Montreal. They should work on getting the cars better at passing other cars. That's the only thing that's missing in F1. Now we have super close qualis which are hard to predict, we have close racing and drama and all that. Performance of the cars are converging which means drivers are having to dig deeper. Renault and Honda once caught up (inevitable) then it will be an amazing spectacle. Just needs a bit of time and stable regs. 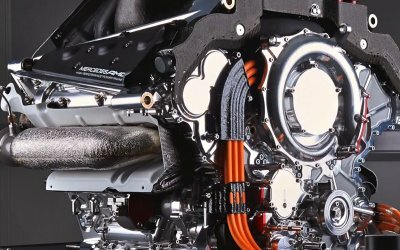 Maybe it has been mentioned before, but how about a simple energy limit on the mgu-h and allowing to keep it? For example 70-80 or 100kw maximum harvesting power and 4 MJ maximum recovery per lap? That would clamp down development of that area and allow Renault and Honda to catch up. To simple? I would go the opposite and make it unlimited, and not restrict how it is recovered. This has to be 'road relevant' for the future. And then they expect us to like the current "lawnmover" sounding PU's !! What is the point when one team/manufacturer has a powerunit which has 50 bhp more than the others? If they keep the current regs, it will be getting closer, no doubt. And because the tech will be become more common knollage, it will be easier for new companies to join. I think Honda was the worst example for a company to join, being all the way in Japan. That way they are/were unable to scout some engineers from England/Italy or France. Plus the teams over there also were just getting to know what they were dealing with. I imagine if VW AG would join with one of their brands, they would go shopping for a couple of dozen engineers from Daimler AG and Fiat first. Another theory I have, every time you put “unlimited “ somewhere in the regs, it favors the team with the biggest budget. In this formula the energy transfer between H and K are free and the boost and sizes of the compressors as well. That I where they can make a difference. To limit or not to limit..? This seems to be a double edged sword in F1. 'Unlimited' gives the big budget teams an advantage in that they can throw huge amounts of money at the blue sky thinkers to come up with new innovations. I just read that back. Sorry for the lack of plain English.